El Katracho Restaurant, in Sherman Oaks, is a popular local dining establishment renowned for its fresh and lively Latin and Caribbean dishes served in its bright and friendly setting. The sweet corn tamales filled with beans, cheese and sour cream and a cup of the sumptuous conch and shrimp soup make incredible starter options. Some of El Katracho Restaurant’s specialty entrée dishes include the fried chicken with plantains, the grilled pork chops, the bistec beef steak cooked with onions and the marinated shrimp with rice, all of which are prepared to perfection and come with sides like homemade corn or flour tortillas, beans, rice and fries. El Katracho Restaurant also has daily breakfast service, with delicious and hearty options such as the eggs with spicy chorizo sausage and the Katracho’s breakfast laden with ham and eggs, beans, cheese, plantains and avocado, all great with a coffee or fresh juice. Los Angeles’s premier soup spot, El Katracho Restaurant’s warm flavors will keep you coming back for those winter months. For healthy meals with a twist, head to El Katracho Restaurant. Round out your meal with a little tipple ? this restaurant has a terrific drink list, including beer, wine, and more. Eat out with the little ones at this restaurant, and don’t waste time scurrying for a sitter. At El Katracho Restaurant, the prime seating is on the patio. Come check out what all the buzz is about. For no extra charge, utilize El Katracho Restaurant’s free wifi. Parties of any size can easily be seated at El Katracho Restaurant. The restaurant takes reservations, so you can plan your next get-together ahead of time. No time to sit down? No worries! This restaurant offers a take out option so you can grab your food on the go. 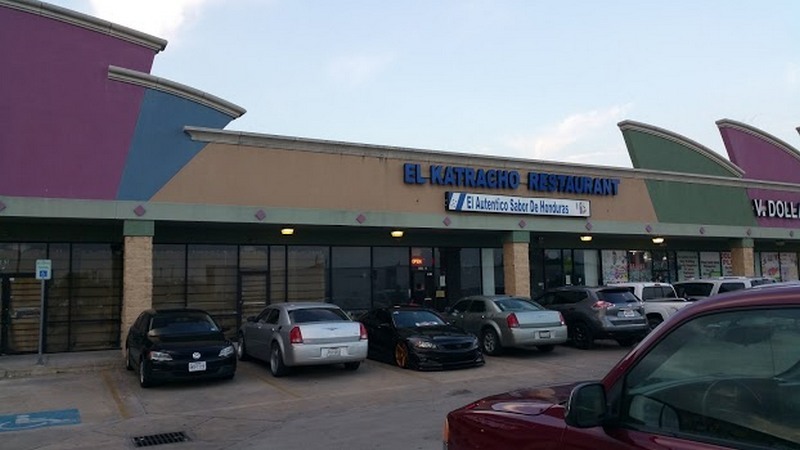 Drive to lunch or dinner at El Katracho Restaurant and find easy parking in a lot close by or on the street. Make use of the safe and efficient bike parking at El Katracho Restaurant. Come to El Katracho Restaurant for a satisfying meal that won’t break the bank. El Katracho Restaurant accepts major credit cards, including Discovery and AMEX. Catering to diners throughout the day (and night), El Katracho Restaurant serves AM, PM, and midday meals. When you’re feeling hungry, pay El Katracho Restaurant a visit and slurp down a bowl of delicious soup.